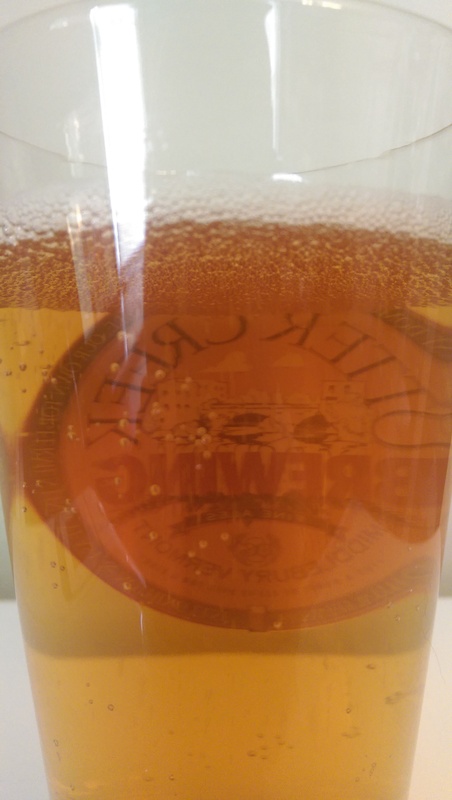 Beer Profile: Samuel Adams Rebel IPA – Food. Beer. Stuff. 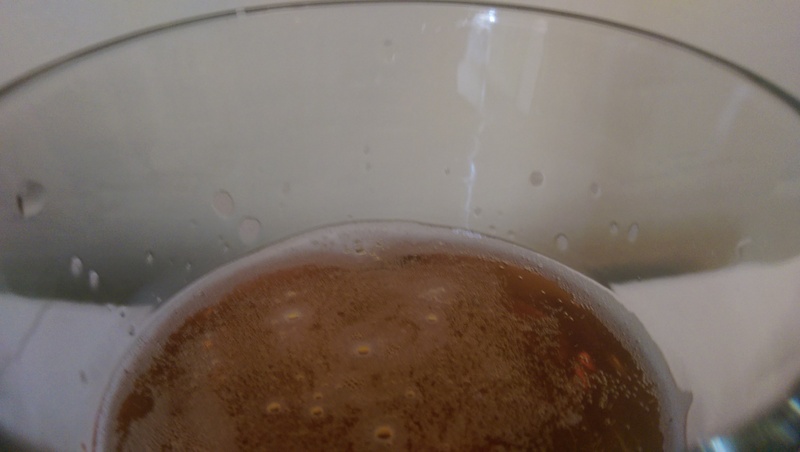 For the seventh edition of my new series, Beer Profiles, I take on the IPA offering from the good folks over at Samuel Adams, branded Rebel IPA. This is a “west coast” style IPA which may mean different things to different people. To me, I imagine it is more about marketing than anything specific about the way the beer is brewed. Made with five varieties of west coast hops, that may have something to do with it as well though an “east coast” styled IPA may use the same varieties. 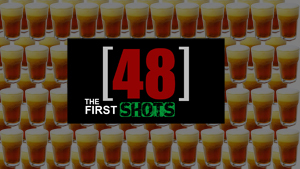 Maybe I am just being a bit myopic, no bother, lets get to drinking. 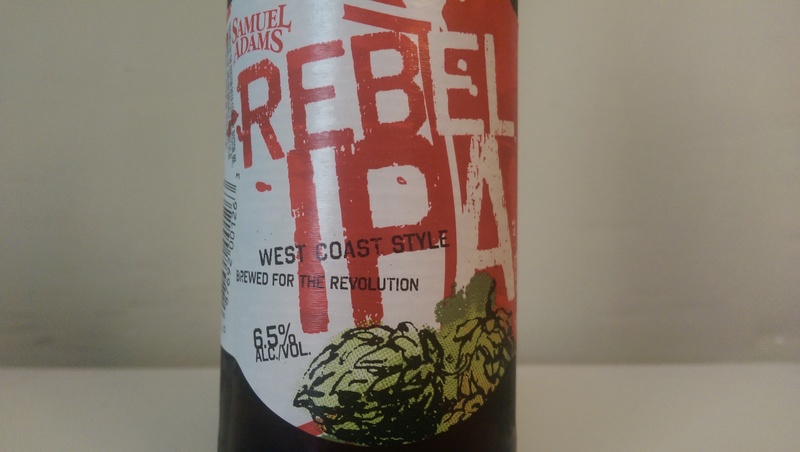 Rebel IPA comes in the familiar Samuel Adams high walled packaging, an effort to reduce light exposure to the bottled beer. The bottle and package are designed in a fashion that will catch the eye with a bright red color. Giving it a sniff will reveal a malty sort of aroma rather than the expected pine or citrus like scent more common with an IPA. Rebel pours a translucent amber. Taking a quick swig, I’m surprised to find the taste a bit bland. Mild carbonation leaves only the memory of head at this point and I notice the lacing is nearly non existent. I am not getting much hop flavor with this IPA which also surprises me as, at least in my experience, the traditional west coast IPA has an aggressive amount of hops immediately attacking ones tongue. I tried to take my traditional lacing photo but Rebel IPA would not cooperate. Not wanting to make a snap judgement I continue to consume my Rebel IPA. Whereas my first sip tasted a bit watery, I am beginning to pick up on more flavors as my glass empties. I do start to notice a slight IPA bite though this beer has a fair amount of malt that I feel is winning the overall taste profile. I wasn’t expecting this beer to be as balanced as it is. Initially that may have been a disappointment. Not exactly Samuel Adams fault that my expectations for their first IPA were different than theirs but none the less, I’m not really finding any character I can latch on to. Nothing really excites the senses. I don’t hate this beer. It certainly has it’s merits. Going down smooth, light mouth feel, clean taste. As just a beer, I find it Ok. Nothing to really hate but certainly not going to set the world on fire as the name may suggest. I’m not sure what Samuel Adams was necessarily going for with this beer but I imagine they may have wanted to play it safe for their first IPA. To me, this taste like… well, in an effort to please everyone they have pleased no one. This beer to me just doesn’t have any character. Nothing about it screams individual. With a name like Rebel I expect character, I expect something unique. To conclude, I wouldn’t turn this beer down if a friend offered me one but I don’t see myself going back to the LQ to buy more. I feel like this was a nice effort but maybe it just fell a little short of what I thought I was going to be drinking. Now, don’t get me wrong, this is a good beer, I may have just fallen victim to my own expectations. Give one a try and see what you think. Have you tried Samuel Adams Rebel IPA? What are your thoughts? Lets talk about it in the comments below.